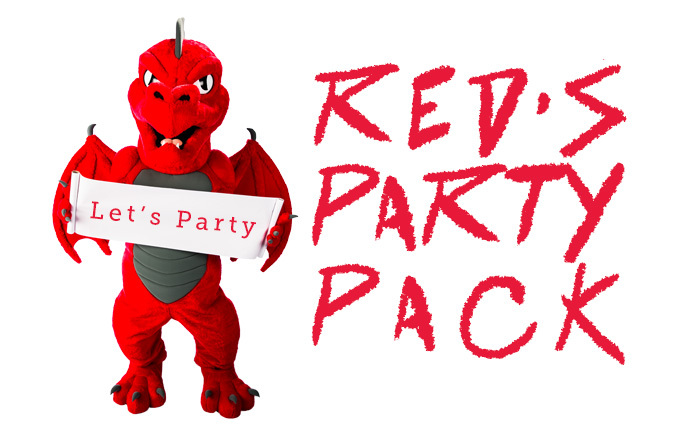 Request a "Red's Party Pack"
Thank you for your interest in a Red's Party Pack, a "party-in-a-box" for an alumni get-together. All you need to do is tell us a little bit about your event by filling out this form and we will send a Party Pack right to your doorstep. Please have a date, time, location and solid idea on the number of guests before requesting, and submit it a minimum of three weeks before your event. This will allow sufficient time for processing and shipment of your party pack. Please note, the Party Pack is designed for groups of approximately 10 or fewer guests. If your group is larger, we can still help you! You should still fill out the form, then our Coordinator of Reunion and Affinity Programs will be in touch to talk about ways that we can support larger groups. Please describe your event, including if there are any special affinity groups you are inviting. Also include if your event has a theme. Types and quantities of giveaways will depend on our inventory and the size of your event. The Office of Alumni Engagement may reach out to you via email or phone to clarify details regarding your event, or if there is any reason we will not be able to fulfill your request.